Storytime magazine was launched in September 2014 by a dedicated team of people with extensive experience in the publishing world and a passion to improve the choice and quality of magazines available to children in an ethical and environmentally friendly way. As such, we have a strict no plastic toys policy, which we adopted from the start. We promise our readers that this will always be the case. Storytime: Plastic toy-free and proud since 2014! We all came to Storytime from publishing backgrounds and we were becoming increasingly concerned by the use of cheap, imported plastic toys on the covers of magazines targeted at young children. Quality content seemed to be losing ground to whatever was the cheapest, brightest, most-appealing piece of tat. As parents and godparents, we had witnessed the lure of these plastic toys first-hand and seen how appealing and shiny they looked. We had even purchased plastic toy magazines, just to see how our children reacted to them. As we suspected, the toys got a few minutes of play and then either fell apart or were abandoned. They went straight in the recycling bin. Since that experiment, things have escalated. The magazine landscape has become overwhelmed by plastic toys, which seem to get bigger and bigger. So much so, in the average children’s magazine aisle, it’s impossible to see the actual magazines for the glint of plastic bags containing rainbows of toys. Of course, they’re all conveniently placed at a child’s height, so they’re impossible to resist. We’ve heard many editors in large publishing companies lamenting the secondary role content plays to covermounts, and it was affecting our roles too. This is one of the reasons we set up our company, Luma Works, and why we launched Storytime magazine. We wanted to create a magazine that was 100% content rich, 100% ethical (we operate Storytime as a social enterprise), and with no branded adverts and no plastic toys on the cover. We wanted to redress the balance and put content first – because any great magazine shouldn’t need a plastic toy. But it wasn’t easy. When we approached magazine distributors to help us get into shops for our launch, they were shocked that we didn’t have plastic toys on the cover. We were advised that we would never sell an issue without plastic toys and one distributor refused to work with us unless we complied. Even when we did make it into shops, the lack of plastic toys on the cover left retailers confused. They weren’t sure where to put us. We didn’t fit with the usual sea of plastic. We ended up among photography and pregnancy magazines or, in one major supermarket, neatly tucked in behind some sausage rolls! Some convenience stores opened up boxes of our magazine and were so befuddled by the lack of tat, they returned them. It was an eye-opening experience for a first-time independent publisher. Striking out to do something positive and different has been a challenge, but we have been resolute. We think plastic toys aren’t needed on children’s magazine covers and they will certainly never appear on the cover of Storytime, because our focus will always be on quality content. We guarantee it. It’s blinkered to say that 100% of parents would support a no plastic toy ban. Some parents treasure the few minutes of peace and quiet a plastic toy can bring on a difficult journey home or as a small reward. But since when did pocket money toys get confused with magazines? Both magazines and toys can be fun and educational, but why do they have to be served together? Surely it would be better for parents to invest in higher quality (but still pocket-money priced) toys than the poor-quality tat that comes with most children’s magazines. Even better, spend the same amount of money on a magazine like Storytime and you can keep it forever and even improve your child’s reading confidence in the process! To lump toys and magazines together seems to do a disservice to both – the budget spent on the toy could go into creating much better content. They’re bad for the environment – we’ve all seen the Blue Planet footage. If not, you can watch clips here. It’s time to start caring about how we use plastic and the damaging effects it is having on our planet – not just animals, but humans too. Plastic toy covermounts are part of a wider pollution problem. Furthermore, shipping them here from China involves making a massive carbon footprint, and using single-use plastic bags to wrap the plastic toys only adds to the problem. They’re unethical. Most, if not all, plastic toy covermounts for magazines are produced in bulk at an extremely low cost, often in China. This means paying foreign workers extremely low wages by Western standards. Though factories are required to meet certain conditions, they are usually far below what a Western worker would be happy with. The toys are junk. Honestly, they really are. They have little play value. They’re flimsy and break easily, and they don’t add an awful lot to a child’s learning or growing experience. You could probably get more play value from a stick or an empty cardboard box. Great magazines don’t need covermounts! Imagine how absurd it would be if you couldn’t sell an adult magazine without sticking plastic junk on the cover. Yes, we know that beauty magazine sales go up dramatically when they do product giveaways, but they don’t happen with every single issue. It’s a special, occasional event. The plastic toy phenomenon has taken hold so firmly, children’s publishers now fear that if they don’t put a plastic toy on every issue, they won’t sell any copies. Instead, they should be focusing on what attracted them to the magazine industry in the first place – a belief in making great and impactful content that’s enjoyable and informative to read. A passion for creating something that offers a sound and appealing alternative to newspapers and books. Publishers need to have the confidence to stand by their content and say “this is enough” without needing plastic toys to prop it up. For a long time, magazines thrived without covermounts and they can do so again. The publishing world just needs to find its principles again. Despite all the setbacks we’ve faced on Storytime – and we’ve had more than our fair share – in September 2018, we celebrate our 4th anniversary. It’s a huge accomplishment, and we believe that it’s partly due to the fact that we took a stand against plastic toys and concentrated our efforts on putting good content first. You really can launch a magazine for children without them and there are many other indie publishers out there who have also done so. We believe content should always take first place. 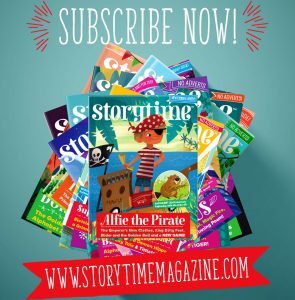 If you’re a publisher, a parent or the press and would like to discuss this, drop us a line at hello@storytimemagazine.com Otherwise, feel free to flick through our plastic-free, content-rich issues on our YouTube channel.